A mix of synthetic and top quality pure natural bristle with a long bristle length and a comfortable plastic handle, give these Faithfull Paint Brushes perfect balance and make them ideal for use by tradesmen or by the discerning home user. 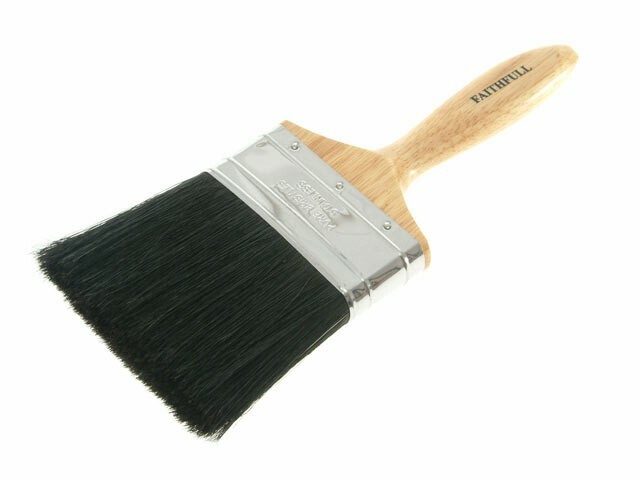 These brushes will provide a high quality finish with all paints. The bristles are bonded using top quality resin to avoid any shedding. The plastic handle is fitted with a rustproof stainless steel ferrule.